Life for the residents of a tower block begins to run out of control. Currently you are able to watch "High-Rise" streaming on Amazon Prime Video. 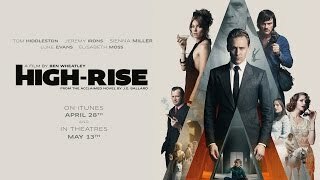 It is also possible to buy "High-Rise" on Apple iTunes, Rakuten TV, Microsoft Store, PlayStation, Sky Store, Google Play Movies, Talk Talk TV, YouTube as download or rent it on Apple iTunes, Rakuten TV, Microsoft Store, PlayStation, Sky Store, Google Play Movies, Talk Talk TV, YouTube, BFI Player online.